Here’s a sneak peek at some new swag we’re rolling out at Red Rocks tomorrow. Can’t make it to the show? Sign up for our newsletter and we’ll let you know when it hits our merch store. Limited Edition 5-color poster designed, signed, and numbered by up-and-coming Atlanta-based poster artist Derek Perez. Printed locally in Colorado by Think Good Thoughts. 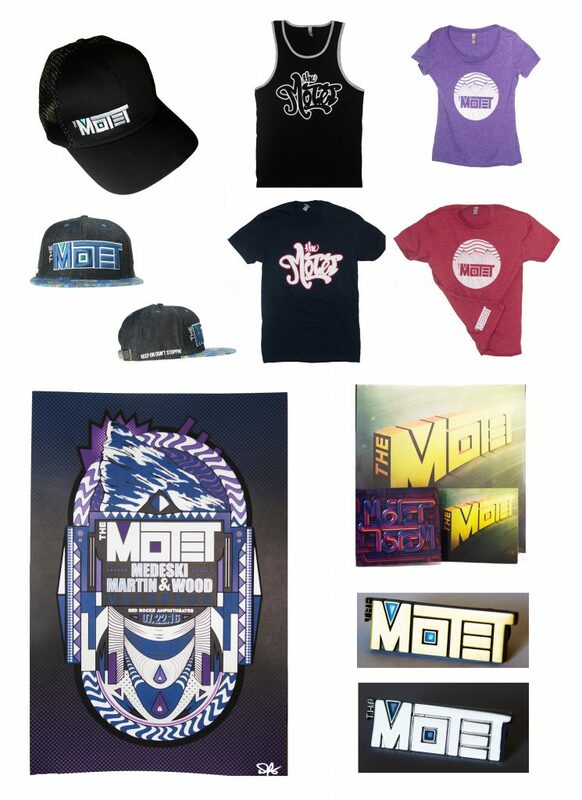 Only 200 printed, with 50 signed by The Motet available July 22nd at Red Rocks. Limited Gold Edition, quantity of 50.